Ryan Mclaren is a South African cricketer who hails from Kimberley, Cape Province. 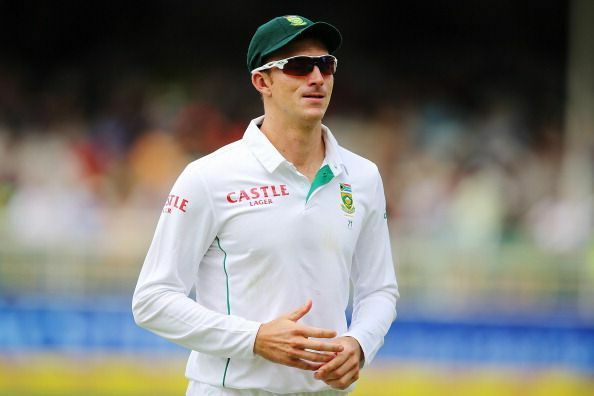 He was born on 9 February 1983 and plays all three formats of the game for the Proteas. Mclaren’s father, uncle and cousin have all played domestic cricket in South Africa. However, he is the only cricketer from his family to have played for the South African national team. Mclaren is a right-arm medium-fast bowler and bats left-handed. He was one of the first players to pick up five wickets in a T20I (also the South African record) and is generally considered as an all-rounder. Ryan Mclaren started as a first-class cricket player just like his family members who played domestic cricket. He took two wickets in his first match and scored 25 runs. His career slowly drifted from the domestic side after he appeared for the South Africa Under-19's, during the 2001–02 Under-19 World Cup. He has represented the following teams - Eagles, Free State, Kent, Kings XI Punjab, Kolkata Knight Riders, Middlesex, Middlesex 2nd XI, Mumbai Indians, Hampshire, Lancashire and South Africa Under-19s. Mclaren made his international debut in an ODI against Zimbabwe on 8 November 2009. He impressed by picking up three wickets and scoring 6 runs. He made his Test debut on 14 January 2010 against England and picked up one wicket in the first innings and scored an unbeaten and resilient 33 from 77 balls. His T20 debut came on 13 November 2009 against England. He impressed again by picking up three wickets in spite of his team’s loss. Ryan Mclaren’s career did not start like he would have wanted. The team at that time had plenty of all-rounders and it was a difficult task to enter the team. Not expecting a national selection, Mclaren joined Kent as a Kolpak player. A year later, he was called up to the national side but his contract with Kent tied him down. In 2009, Mclaren finally made his debut by successfully achieving a breakthrough in his career. He performed well in his first few matches in the short format and was thus called up for the test team in 2010. He has played only two test matches and was not a viable option for the longer format of the game. His five-wicket haul against West Indies and the Man of the Series performances against Pakistan in an ODI series in UAE remain his best performances till date. His ODI performance is undoubtedly the best in his career, where he has a total of 77 wickets in 54 matches at an average of 27.29. His T20 performances are not bad altogether - he has 17 wickets from 12 matches. His figures of 5 for 19 in a T20I against West Indies still stands as the best figures in T20s by a South African player. He suffered injuries before the 2014 World T20, where he was considered to be a vital player for his team. His snubbing from the 2015 ICC Cricket World Cup squad was not taken well by him, believing he deserved to be in the team. Ryan played his first club match for the Free State cricket team. He endured a stint in South Africa, playing under the Knights and then for Kent. He made his Indian Premier League debut in 2010 for the Mumbai Indians, and later moved to Kings XI Punjab. He then went on to play for Middlesex in 2011 before playing for another IPL team in 2013 - Kolkata Knight Riders. He picked up another contract in England for the 2015-16 season, playing for Hampshire. He currently plays county cricket for Lancashire as an overseas player.